One night in January, 2004 I had an earache. I awoke the next morning and the right side of my face was paralyzed. Through blood work and an MRI the diagnosis was a severe case of Bells Palsy. I had minimal movement of the facial muscles on the right side of my face. I could not close my eye and I drooled….not a pretty sight for a 17 year old high school senior. Trips to the neurologist just meant drugs. When the drugs did not improve the paralysis, I began physical therapy several times a week for five months. Although I did improve, the neurologist said nothing more could be done. Although not happy with that diagnosis I accepted it but my mother did not. A friend of hers recommended I have acupuncture treatments by Andy Rosenfarb. Apprehensive, I figured I had nothing to lose. It was not painful and Andy usually had to wake me up when my sessions were over. I saw and felt improvement after a few sessions. The neurologist was wrong; Andy gave me back my face and my smile! Migraines run in my family so I wasn’t too surprised that I developed them, but was surprised at how quickly they came into my life. About six months ago, I started getting migraines 4-5 times each week, ranging from a dull ache every morning to more severe headaches that ever caused nausea and vomiting. Some even left me unable to function, and I was stuck in bed. Over-the-counter headache medicines rarely worked. When I went to see a neurologist (and after doing a series of tests), he put me on medicine to prevent these headaches. I took the medicine every day for three months. Side effects to the medication were that I lost 10 lbs., and developed numbness, in my feet and occasionally throughout my whole body. The migraines did not decrease with this drug. At this point in time the headaches were destroying my life as I was having them every morning and most every afternoon. After stopping the medication, I decided to try acupuncture. I started treatment about 2 months ago. For the first two week, I still had frequent headaches (and was still coming off the medication). After a few more weeks of treatment, I noticed that most mornings, I was actually waking up without headache free. Soon after, I was getting through entire weeks with no headaches, which was pretty incredible to me! I had experienced pain associated with inflamed nerves, as a result of a car accident. This caused me excruciating & continuous pain for six consecutive days. I was then referred to Andy Rosenfarb, and during the first acupuncture treatment the pain had miraculously subsided. I was pain-free for eight hours after that treatment followed only by brief, intermittent pain. With each acupuncture treatment I am experiencing a progressive recovery during my healing process. Currently (9 weeks later), I can look forward to a future that is pain free! The compassion, patience, and pleasant mannerism of Andy Rosenfarb greatly contributed to my recovery. Thank you, acupuncture is a conductive path to recovery. When I first came to see Andy Rosenfarb I was experiencing severe allergies, asthma, and tenseness. Since I have been coming regularly for treatment over the last few months I have much sinus congestion, less frequent asthmatic attacks. All of my symptoms have improved, and I am definitely less tense! When I first came to Andy Rosenfarb’s office, I had severe stiffness (in both knees) at night. It was so painful that it woke me up every night. I also had very poor flexibility, and constant pain. Since receiving treatment, I have noticed more flexibility and much less pain, I am sleeping much better too! Andy is extremely knowledgeable in his field. He treats me with acupuncture and herbal medicine when needed. As a result I do not take any medications for arthritis or any other ailments that were bothering me. My vision has greatly improved to the point that when I went to see my eye doctor, he had to decrease my eyeglass prescription in addition, the ringing in my right ear has greatly subsided and is steadily improving. My blood pressure is now under control and my parathyroid function is stable. I am a new person! When I first met with Andy Rosenfarb I had a host of issues, many which seemed to be the result of a low thyroid function. Western medicine had nothing to offer me since my blood work results were ‘normal’, and I was supposedly in great health…but I was still tired and stressed out. I started taking some Chinese herbs that Andy Rosenfarb and received four acupuncture treatments over the next few weeks. Each week I noticed significant improvement in my mood, energy, and appetite (lowered). At this point I am still taking the herbs for maintenance, and I feel great! Thanks you so much. I began skeptical and unsure of what to expect. Treatment is relaxing and pain-free, and resulted in the aborting of pending sinus surgery. I have not had an infection since I started, which is an accomplishment in and of itself (considering I had two sinus infections each month). I have more energy and am better able to function day to day as a result of acupuncture treatment. Thanks Doc! I am writing to thanks you for helping me overcome my chronic coughing problem by using acupuncture. It is hard to believe that acupuncture can work where conventional medicine failed to offer any hope for my condition. Your skills helped me and I thank you! I was referred to AHA by my chiropractor. I came to this office with very extreme pain in my hip and legs. It was so unbearable that I could not even sleep at night. Nothing I tried gave me any relief. After receiving 25 acupuncture treatments I am feeling as though I am maintaining my freedom from pain. I find my treatment time very relaxing. I’m feeling great! I have found acupuncture to be the most beneficial for my sinus headaches and allergies. Acupuncture is very relaxing and the office environment is highly conducive to feeling great, physically, emotionally, and spiritually. I no longer rely on any medications for the sinus headaches; I rarely get them anymore. Andy Rosenfarb has also been using NAET Allergy Elimination therapy to eliminate my allergies. I feel so much better! Thank you Andy! I’ve been receiving acupuncture treatment from Andy Rosenfarb for eight months. During this time I’ve had one minor sinus infection (6 months ago, when I first started treatment). I only experience occasional low-grade headaches, which resolve quickly on their own. The combination of acupuncture and herbs seem to be working magic for me. Before I started acupuncture, my ENT doctor felt I had run out of options and recommended a second sinus surgery. I refused this recommendation, as the first surgery did not seem to improve my health or condition at all. I am happy to say that I won’t need the surgery because my condition has greatly improved with acupuncture and Chinese herbs. 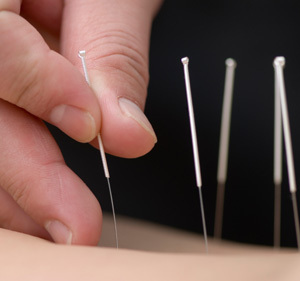 Although I don’t fully grasp how acupuncture works, I am now a big supporter and believer in this form of health care. I am so glad I took the chance! Thank you Andy Rosenfarb! I have relief with acupuncture treatments. Other conditions that Andy Rosenfarb has significantly helped me with were a chronic vaginitis condition, headaches, insomnia and sinusitis. I didn’t even know he could help me with these problems and they all resolved with his treatment. I would highly recommend him to anyone! When I first came to see Andy Rosenfarb, my skin was dry, my hair was thinning and brittle, and I was HIGHLY stressed. My hair is filling in and I feel healthier. I am less stressed and my thyroid function is normalizing. I had rotator cuff injury on the left side which had been hurting for 8 months. I went to chiropractors, physical therapists, and massage therapists. No one could help me. I completed 10 days of treatment for my shoulder pain and after the treatment, the rotator cuff was completely healed. I got back full range of motion in that shoulder with no more pain. Today I play volleyball twice a week and my shoulder feels great! Additionally, Andy noticed as he was checking out various pressure points on my back, that my liver appeared stress. Andy suggested that I do more exercise and watch any foods, medications, supplements that may stress out the liver. I decided instead to do a series of colon hydrotherapy/cleanse treatments followed by an intense liver cleanse. The results proved that my liver was indeed extremely toxic. In fact, so toxic that I will need to do 3-4 more liver cleanses before the cleaning is complete. Following the liver cleanse, I felt better than I’ve ever felt in my life. I have Andy to thank for pointing out my stressed out liver organ. Thanks to Andy, I am healthier than I’ve ever been in my life. * Disclaimer: Individual results will vary. The content of this website is intended for information purposes only and is not a substitute for professional medical advice, diagnosis or treatment.